Product code: ES7786 Categories: Sold Items, Sold Rings. Art Deco jewellery of the 1920’s to the 1040’s was so unique and has remained so poplar decades later, and when you see this Art Deco era diamond cluster ring with a star design, it is easy to see why. Taking a traditional diamond cluster design, the jeweller ingeniously set the centre diamond into a star pattern giving it that special and unique look to it. Surrounded by a further six diamonds, there is yet another diamond set on each shoulder leading to the band. With a total diamond weight of 0.09 carats, the top of the ring measures 7.7mm by 13.1mm from one side diamond across to the other and sits so well on the finger. 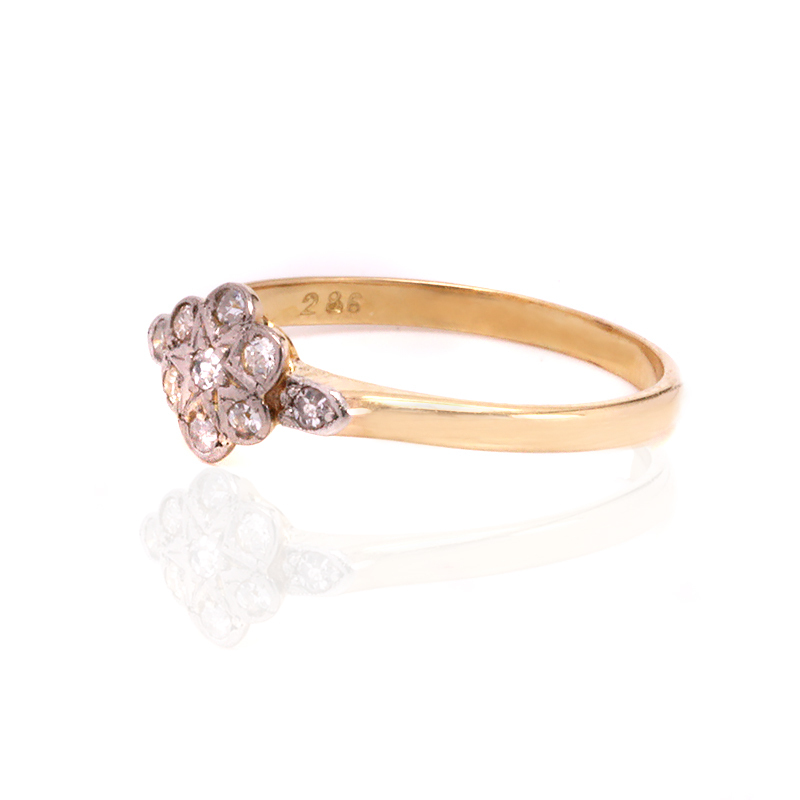 Hand made in 18ct gold, this is such a charming and character full example of a genuine Art Deco diamond ring that will always be cherished. Tag: Art Deco diamond cluster ring.